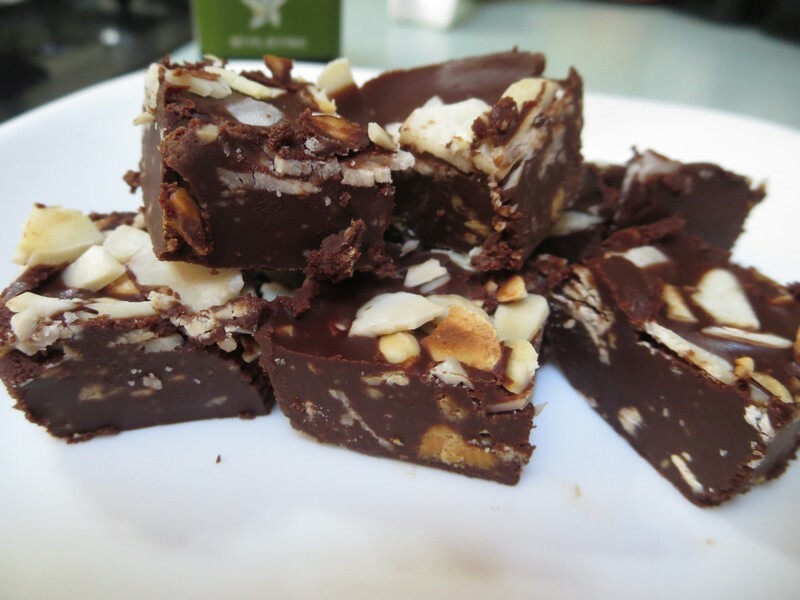 NOTE: I like to use Trader Joe’s 72% cocoa chocolate bar or Eating Evolved 85% dark chocolate when making this recipe. 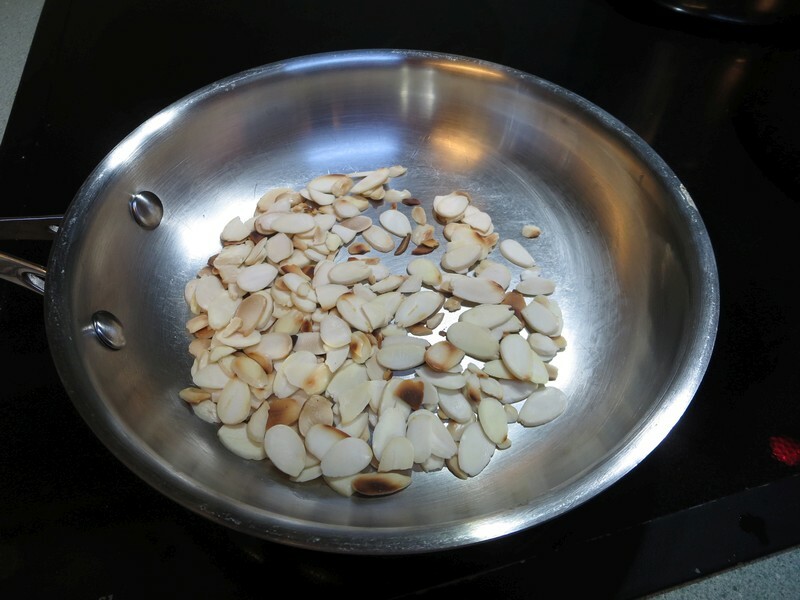 Toast almonds in a pan over medium heat until light brown. Place about 1 inch of water in the bottom of a double boiler pan. 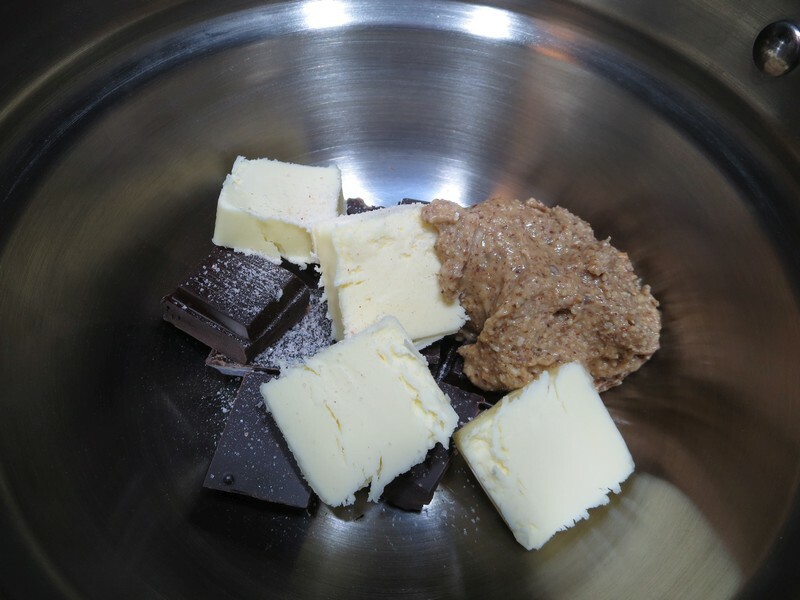 Combine first four ingredients in the top of the double boiler over the water. Be sure the water does not touch the bottom of the top pan. Set the pan on the stove set at low to medium low heat. 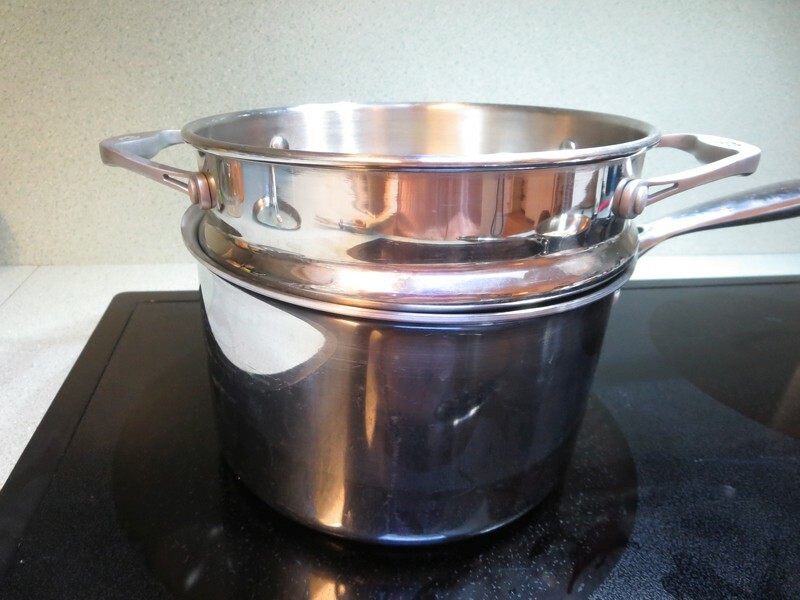 It you do not have a double boiler you can make a make-shift one setting a glass bowl over the top of a medium size pan following the instructions above. 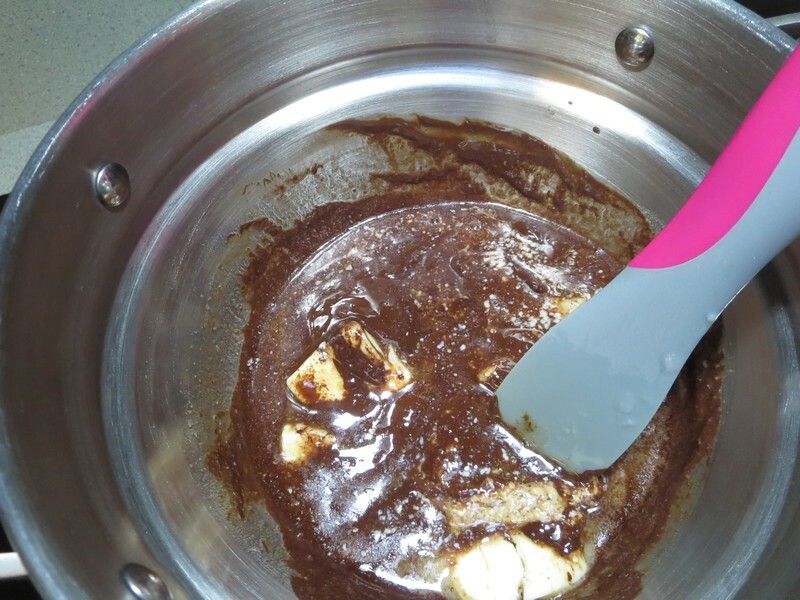 Stir the ingredients occasionally until melted together and combines. Remove from heat and stir in the vanilla extract. Pour into a 4” by 6” glass dish. I use one of my glass food storage containers. 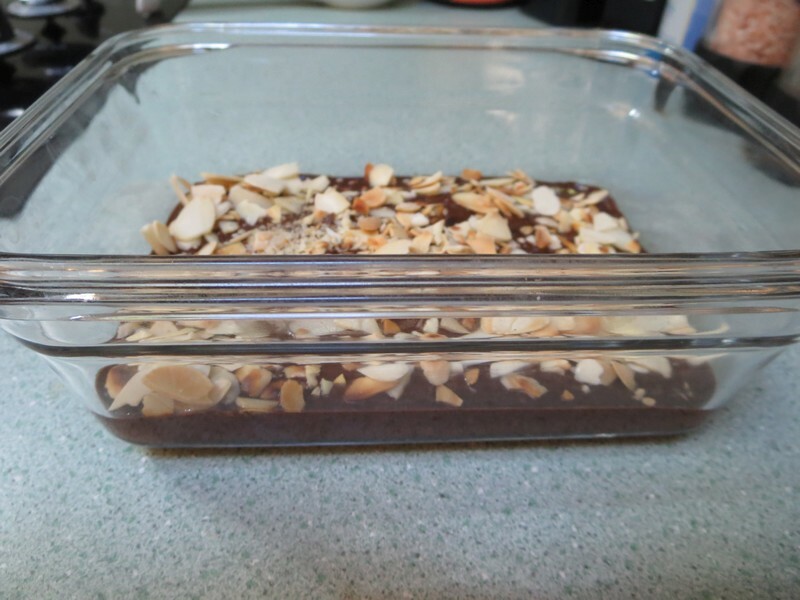 Sprinkle with the toasted almonds and refrigerate until firm. To speed this up you can place in the freezer for 30 minutes. Cut into small squares and store in the fridge. These will soften if left at room temperature for very long.